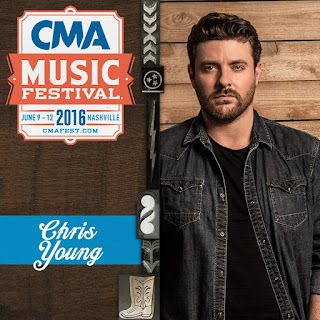 Chris Young to kick off CMA Music Festival at Ascend Amphitheater! Chris Young will kick off 2016’s CMA Music Festival 11 a.m. Wednesday, June 8, from the Skyview Stage at Ascend Amphitheater. CMA Music Festival’s full line up for the Skyview Stage at Ascend Amphitheater, located at the foot of Korean Veterans Boulevard and First Avenue, is expected next week.